A small asteroid discovered Saturday morning, determined to head for Earth, impacted the planet’s atmosphere just a few hours later on June 2nd. Asteroid 2018 LA (previously known as ZLAF9B2) impacted the Earth atmosphere over Botswana, near South Africa border on June 2nd, 2018 16:44 UT (18:44 CAT). 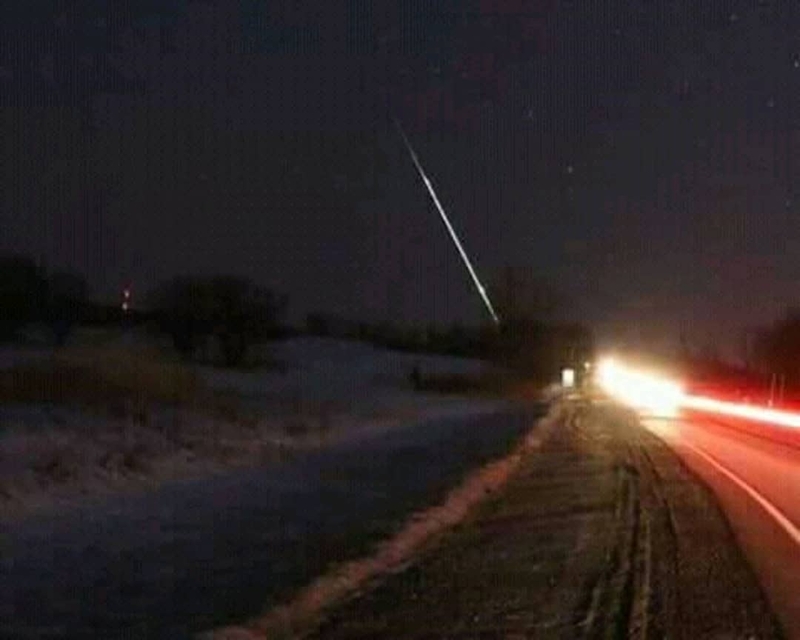 The event has been reported by 8 witnesses on both the AMS and IMO (International Meteor Organization) online fireball report forms. Asteroid 2018 LA was discovered less than 9 hours before its impact by the Catalina Sky Survey, a NASA funded project based at the University of Arizona’s Lunar and Planetary Lab in Tucson, Arizona. The asteroid had an apparent magnitude of 25.5 when it was discovered. 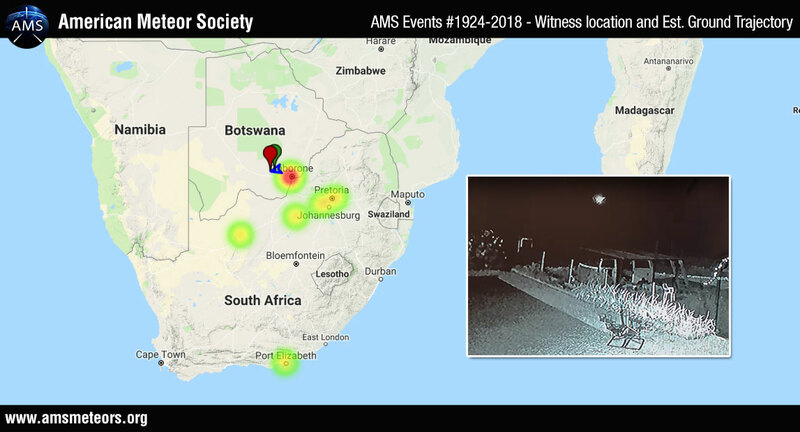 Barend Swanepoel (South Africa) published a video of the event on the AMS website taken from farm located 250km from Johannesburg (south-west). Dr. Peter Brown from the University of Western Ontario studied the infrasound detection of the fireball from a station in South Africa and came to the conclusion that the event with an energy yield of 0.3-0.5 kT corresponded to an asteroid of 2m-diameter. As stated by Tioga Gulon (IMO), the asteroid size seems to be similar to the object 2008 TC3 also discovered before its impact which resulted in meteorites recovered at Almahata Sitta in northern Sudan. We witnessed this Saturday just before 7pm local time from a location in Madikwe game reserve facing Gaborone. Impressive. The asteroid had an apparent magnitude of 18.3 when it was discovered, not 25.5. Surveys do not go that deep. Any chance this object dropped a stone? Our group has reproducible experimental and observational data from C-14 dating of fossils that asteroids are far more of a risk than NASA claims. This is because NASA and other space agencies have ignored the age factor for the time in history for a truer dinosaur extinction. We know that this will be hard to take based on the current paradigm of geology of long ages but you might want to take a look. It could help your efforts in getting space agencies world-wide to hasten the day when Earth will be much better protected against an Asteroid with Earth’s name on it. http://www.dinosaurc14ages.com. But I filled out the required fields with my name, emaill address and website. What more do you want? did it leave a crater? We don’t even know at this point whether any fragments from this object reached the ground. If they did they would be small bits, not nearly large enough to create a crater.